There comes a time when the useful life of an oil platform comes to an end, at least when it comes to drilling for oil, and that’s when we dive in. 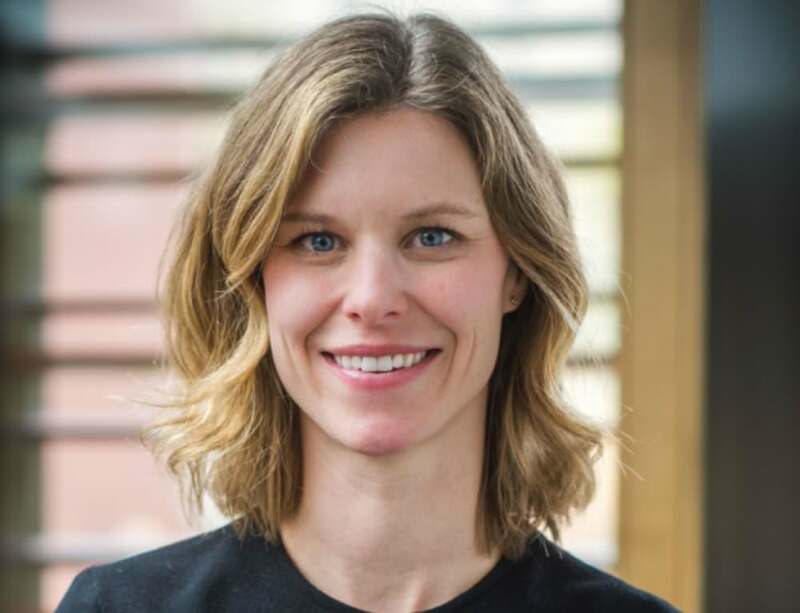 Blue Latitudes, founded by Emily Hazelwood and myself, is a women-owned environmental consulting firm on a mission to re-purpose offshore oil and gas platforms as artificial reefs around the world. In our home state, California, there are 27 oil and gas platforms off the coast that have already become massive reefs and a recent study published by the National Academy of Sciences has concluded that, “…the oil and gas platforms off California are among the most productive habitats globally.” Globally there are thousands of offshore oil and gas platforms, found in every ocean, and all of these offshore structures has the potential to be a thriving reef ecosystem. But what happens when the oil well drys up? Enter the engineering feat of a lifetime: how to remove a structure, some the size of the empire state building, from the water column. This process, known as decommissioning, is not only costly and technically challenging, it can also have a catastrophic impact on the marine life that has developed on these structures. 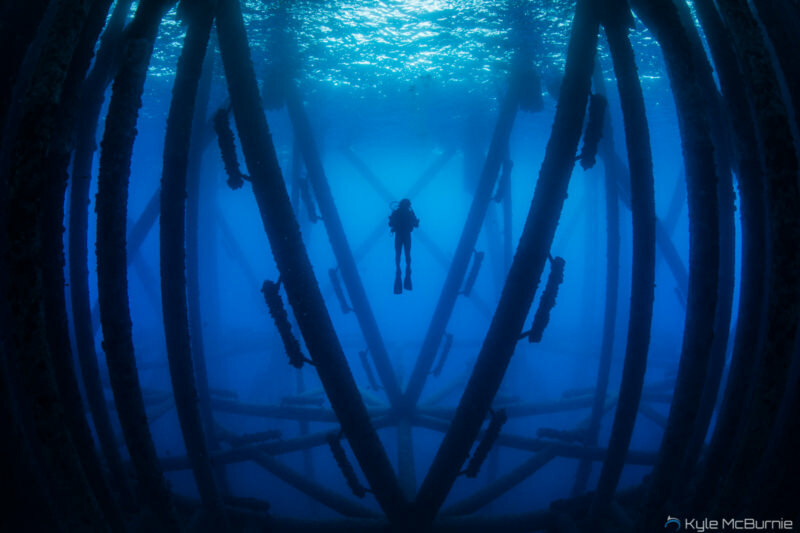 Rigs to Reefs provides an alternative to the traditional decommissioning practice of complete removal, in which the platform structure is modified to remain in place as an artificial reef. As the world’s natural reefs are overfished, over-trawled and polluted, we believe that re-purposing these structures as artificial reefs may be the best decision for the future of our oceans. Want more? Watch the New York Times video. 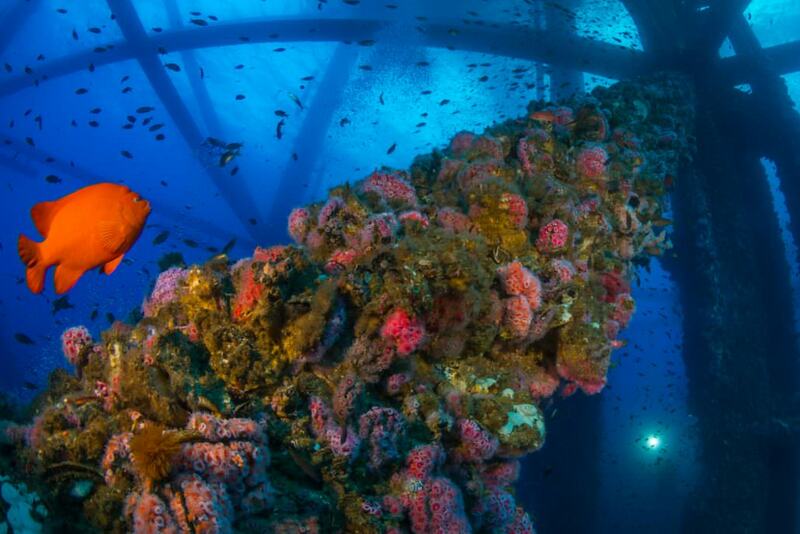 In the Gulf of Mexico, over 500 platforms have been repurposed as successful reefs, benefiting not only the local ecological communities, but also the local fishermen and dive communities. In fact, these platforms are some of the most prominent fishing hotspots in the Gulf. However, not every offshore oil platform is a good candidate for reefing. Factors that may lead to a platform being considered a ‘poor’ candidate include: lack of ecological value, poor placement, interference with other ocean stakeholders like fisherman, etc. To determine the impact that a reefed platform will have, or not have, on commercial fishing stakeholders, Blue Latitudes employs the Global Fishing Watch (GFW) technology to visualize where fishing activity is most prevalent in relation to oil and gas lease blocks. By observing where the fishing activity is occurring, we can more strategically plan the placement of a reef in an area that will not conflict with the fishing industry, but rather provide a source to fuel the fish populations. The results? A silver lining to the reality of offshore oil and gas development. In which, an oil platform can be successfully repurposed as a reef in alignment with the fishing community needs, to benefits the environment, and the fishing stakeholders. 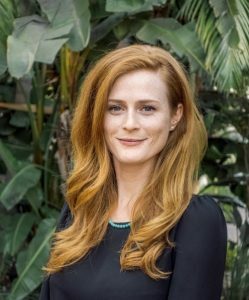 We started as marine scientists at Scripps Institution of Oceanography in 2013, and this year we were listed on the Forbes 30 Under 30 list in the energy sector for our efforts with Blue Latitudes to develop sustainable, creative, and cost-effective solutions for the environmental issues that surround the offshore energy industry. One such critical solution was provided by GFW technology, which has enabled Blue Latitudes to manage conflicting interests (ie. oil and gas and fishermen) and lessen the frequency of negative interactions between the stakeholders that utilize the ocean as a resource. Thanks to our partnership the GFW, Blue Latitudes has been able to forge new ground and break down barriers at the intersection of industry and the environment.